Each of us take in 2 million bits of sensory information every second of the day. This includes the feeling of clothes on our skin, to the lights in the room, to the sounds that are occurring around us. The average individual takes that information in, knows what is important and has the ability to organize that information, and knows what to discard. Typically, we don’t pay attention to every sound in our environment. However, we have the ability to recognize when there is a sound that we need to take note of, i.e. someone yelling for help. This ability to take in all of this information, store what we need to be able to use in the future, and discard the rest, is sensory integration. It is the ability of our senses to work together. It is this sensory integration that lets us know the scent of an onion without seeing the onion, or know that a brick is heavy without picking it up. Children with ASD were not blessed with a sensory system that works quite this smoothly. They take in just as much information, but are not able to organize it adequately in their brain and as the information continues to come in, it become less and less organized, and more chaotic. Therefore, children with autism often need sensory integration programs to help them deal with the overload. Sensory integration programming can take many different forms. For some children, it means that you need to provide them with sensory input at specific intervals throughout the day. This involves providing them with as many different types of sensory input as you can and should include those items that are preferred by the child. A good time to utilize this method is at natural transitions throughout the day. Some children may be need desensitizing to certain types of sensory input that they find offensive. It is important to remember that this is not a choice for them, but their inability to organize sensory information as they take it in. Sensory overload is the result of the same problem. While you and I can tune out certain kinds of noises in the environment, children with autism frequently cannot tune that out and hear everything that is occurring, leading to overload. Monitor their environments and see if there is a way to reduce sensory input. Noise canceling headphones can also be useful. Can my child with Asperger’s actually feel love? 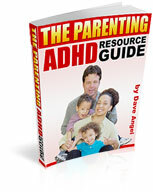 Many emotional concepts are difficult for children with Asperger’s. Love is probably one of the most complicated emotions of all. The lack of empathy and inflexibility that many children with Asperger‘s Syndrome live with will definitely make understanding the concept of love difficult. It is sometimes hard to separate the idea of a person with Asperger’s loving someone from the true source of difficulty, which is the concept of theory of mind. People with Asperger’s Syndrome feel a full range of emotions: anger, sadness, joy, and yes, love. However, the problem lies in connecting these feelings to the feelings of others. Theory of mind is understanding that another person’s thoughts and feelings are their own and how they can coincide with ours, even though they are not reliant on what we are feeling. The possibilities are there for your child with Asperger’s. Love is an emotion that they can come to understand. Here are some things you can do to make sure this happens. * If your child is still young, behavioral therapists can use play therapy to enhance your child’s theory of mind. Pretend play can be difficult for children with Asperger’s Syndrome due to the close connection with understanding another’s feelings. Play skills are important for developing relationships on many levels. * Practice facial expression and recognition with pictures in books or family photographs. Explain the emotion and the cause. Using the ‘say, see, hear’ approach to enhance understanding. * Social stories and comic strips can also be used to show situations that cause different emotional responses. Use these to explain why other people may react in various situations. * If your child is older, social skills therapy can help work on social cues, facial expressions, and basic communication, which in turn, will enhance theory of mind abilities. The process of developing theory of mind is ongoing in children with Asperger’s. Love is only a small part of this very complex equation. While love may be a tricky emotional concept for children with Asperger’s Syndrome, the basic idea of love is very real. Balancing the feelings of love within a relationship is what will bring on a variety of experiences, both positive and negative. With straight forward discussion about feelings and emotions, your child should be able to understand love, and be successful at it. Here’s some great Math tips and strategies from Ken Brzezinski a teacher who himself has a diagnosis of ASD. So he knows his stuff! “Math is one of the hardest subjects we have to teach. Normal textbooks have too much writing in them for our students to use. By the time that they have read the explanations, they have lost interest or are so confused that they do not know what to do. I look for books with short explanations and significant repetition for the problems. For measurement studies and conversions we measured things in the classroom and then the building where the school is located. We try to put as many manipulatives in to our lessons as possible. The math does not only have to make sense in the classroom, we have to try to make it real to the students. These students have spatial organization problems. They have trouble writing the numbers on paper and keeping problems readable. They have problems running into each other and it is almost impossible to follow what they are trying to do. To aid the students with alignment and writing the numbers we put problems on graph paper. Originally the graph paper was very large and I hand wrote the problems. As the students started mastering writing in the graph paper, I made the graphs smaller. Then I made it mandatory that the students had to put their answers in the squares. The example below is the product of several months of progress. There were never more than 12 problems per page and they finished these pages quickly. They would do 4 or 5 pages of problems on graph paper each day, when a page full of 50 problems would have them in tears. I corrected the problems almost immediately because there were so few problems and could give feedback on how they were doing. Doing problems this way made them more confident and significantly happier. For children who have not mastered the times tables or who are frustrated by the process of computation we provide large button calculators to help with the math. This allows us to focus on the concepts we are trying to teach without having to deal with individual weaknesses. We have prepared Multiplication Tables that help the students do problems. We had the students do flash cards for multiplication over and over again. Please also add any comments/questions as I hope Ken will be able to offer you some further advice this way. How can I understand the way my son thinks? * And focusing on “the real world,” as opposed to becoming absorbed in their own thoughts and obsessions. Those with Asperger’s are often extremely literal in their interpretation of others’ conversations. For example, they may wonder if cats and dogs are really raining down or think there are two suns when someone talks about two sons. They are unable to recognize differences in speech tone, pitch, and accent that alter the meaning of what others’ say. Your son may not understand a joke or take a sarcastic comment literally. Learning social skills for children with Asperger’s Syndrome (AS) is like learning a foreign language. A child with AS is unable to recognize non-verbal communication that other children learn without formal instruction. * And how to interpret facial expressions. Many AS children will be highly aware of right and wrong and will bluntly announce what is wrong. They will recognize others’ shortcomings, but not their own. Consequently, the behavior of those with Asperger’s is likely to be inappropriate through no fault of their own. Children with AS need routine and predictability to give them a sense of safety. Change can cause stress and too much change can lead to meltdowns (tantrums). Routines and predictability help them remain calm. Your son’s thinking may be totally focused on only one or two interests, about which he is very knowledgeable. Many children with Asperger’s syndrome are interested in things like parts of a whole (intricate jigsaw puzzles), designing houses, drawing highly detailed scenes, astronomy, the computer, insects, Pokemon, trains, and many more. Because his brain is obsessed by his interest, your son may talk only about it, even when others are carrying on a conversation on a different topic. AS children notice details, rather than the “whole” picture. The importance of the detail prevents the AS child from understanding the bigger picture, so instructions may get lost in his focus on a single detail. A lesson at school may be totally ignored in favor of a fly on the wall. Multiple instructions are extremely difficult for these children to retain and follow. AS children are not able to access their frontal cortex or prefrontal lobe efficiently, so they must call on social skills from their memories. If a social skill has not been taught, they won’t have it. Consequently, turn taking, imagination, conversation, and others’ points of view cause AS children great difficulty. The AS person may be unable to realize consequences outside his or her way of thinking. In addition, they cannot recognize when someone is lying to them or trying to take advantage. Some get into trouble with the law as a result. Anger in AS children often occurs due to over stimulation of the senses or a change in routine. It is often the only response the AS child knows. They see things in black and white, which results in tantrums when they don’t get their own way, feel threatened, or overwhelmed. Some children with Asperger’s bottle up anger and turn it inward and hit or bite themselves, never revealing where the trouble is. Many people with AS are perfectionists reacting with anger when things don’t go as they wish. How can I get my child with Asperger’s to agree to do things without it turning into a full on argument? There are several reasons your child with Asperger’s may fail to cooperate in even the most straightforward situations. This lack of cooperation can be caused by a number of characteristics that come with Asperger’s Syndrome. Most likely, it is a combination of these characteristics. No matter what the exact cause, this behavior is extremely frustrating and exhausting for everyone involved. If you are not careful, this can even damage the parent/child relationship. This is a problem for many parents so you are definitely not alone. Inflexible thought processes often cause situations to become argumentative and complicated. Even though the original situation is pretty unimportant in the natural order of things. It often seems like an argument is started just for the sake of arguing, which is frustrating for you. Sometimes it seems your child cannot “agree to disagree”. Someone has to be right, preferably him. Try to follow a set routine. Create a list of house rules, and use written schedules to plan your days. While these actions do nothing to address a child’s inflexibility, they do give the child comfort and security and that reduces stress, anxiety, and impulsivity. Teach flexibility when the opportunities arise. Role-play unusual situations and have the child tell you what he should and would do in each situation. Use a variety of possible problems, such as missing the school bus, dropping his lunch, or losing his homework. Help the child understand that sometimes you can be wrong for the right reasons. This is a very difficult concept for a child with Asperger’s. For instance, some rules can be broken if following the rules endangers someone or creates an inappropriate situation. Cooperation for the sake of getting along is not always natural for a child with Asperger’s Syndrome. His actions and beliefs have strict reasoning. Unfortunately, the child’s behaviors are often calculated by his challenges instead of his strengths. If you can loosen the rigidity without increasing the child’s stress and anxiety, there is a possibility of improvement in the area of cooperation.